Australia vs India 2nd semi final match of ICC ODI cricket world cup 2015 will be played at Sydney Cricket Ground Australia on 26th March 2015. During the whole world cup, both India and Australia played very good cricket. Australia only lost against New Zealand during matches while India won all their pool matches and also the quarter final against Bangladesh quite easily. Australia remained victorious against Pakistan in their quarter final match. Australia will enjoy the home ground advantage in Sydney while India will also hope another victory as its bowlers and batsmen are in a good form. 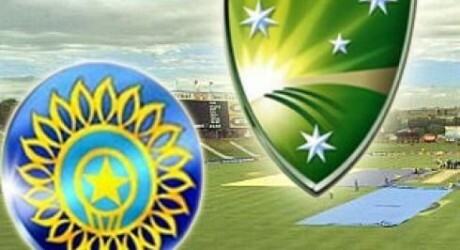 This India vs Australia 2nd semi final could be one of the most exciting matches of the world cup. The live streaming of AUS vs IND 2nd semi final will be telecast in Pakistan from PTV Sports while Pakistani viewers can also watch online live scorecard for IND vs AUS match that will start at 14:30 local time and 8:30 PKT.